CHICAGO (WLS) -- A firefighter was hurt after a vacant apartment building went up in flames in Chicago's Pilsen neighborhood. 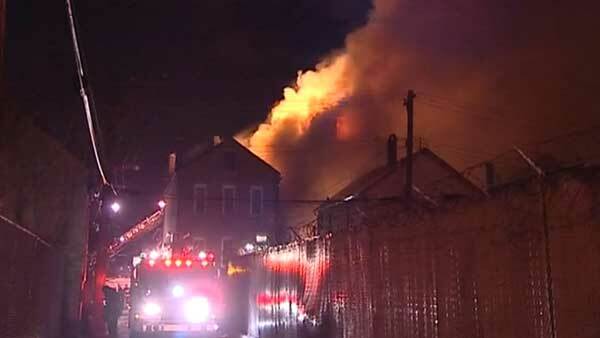 Smoke was pouring out of a building in the 1300-block of West Cullerton Street when fire crews arrived on the scene. Officials said the 2-11 fire broke out just before 3 a.m. Tuesday. Crews remained on the scene early Tuesday morning to watch for hot spots after they got the flames under control around 4:15 a.m.
A firefighter went to the hospital to treat a minor injury. Investigators are looking into what sparked the fire.